The 1 oz Gold Australian Kangaroo is a coin loved by gold investors around the world. Each Kangaroo contains 31.1 grams of 24-karat, 0.9999 fine gold. 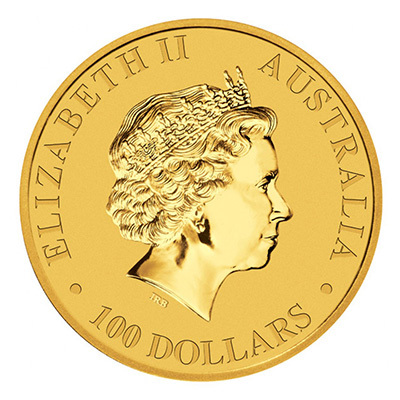 Issued by the Perth Mint, this sovereign gold coin is eligible for precious metals IRAs. The design of the Australian Kangaroo gold coin changes every year. This differentiates the coin from many other popular gold coins. Each different design features an image of a kangaroo—Australia’s most famous animal. The Australian Kangaroo gold coin is recognized worldwide, making it highly liquid. Buy the 1 oz Australian Kangaroo gold coin for your investment portfolio today. The 1 oz Gold Austrian Philharmonic is a popular gold coin that is recognized worldwide. The Philharmonic is a beautiful 24-karat coin, containing 31.1 grams of 0.9999 fine gold. Guaranteed by the Austrian Mint, the coin has a face value of 100 euros. It is eligible for precious metals IRAs. 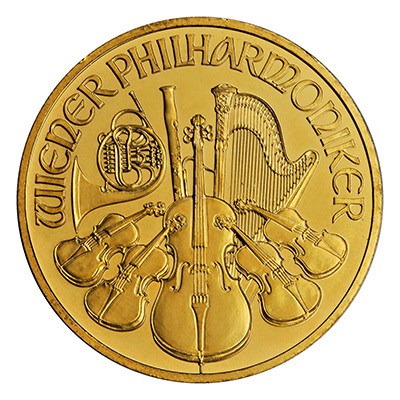 The front of the coin features the Great Organ of Vienna’s Golden Hall, while the back displays a selection of musical instruments. An attractive coin, the Philharmonic has been one of the best-selling gold coins in the past. Add the 1 oz Austrian Philharmonic gold coin to your precious metals portfolio today. The 1 oz Great Britain Britannia coin is a popular gold coin that is sought after for its beauty and quality. A stunning coin made from 24-karat gold, each Britannia contains 31.1 grams of 0.9999 fine gold. Backed by the British government, the Britannia has a face value of 100 British pounds. It is eligible for precious metals IRAs. The front of the Britannia features Her Majesty, Queen Elizabeth II. The back of the coin displays the internationally recognized figure of Britannia, holding a trident and shield. The 1 oz Great Britain Britannia is a wonderful addition to any bullion collection. 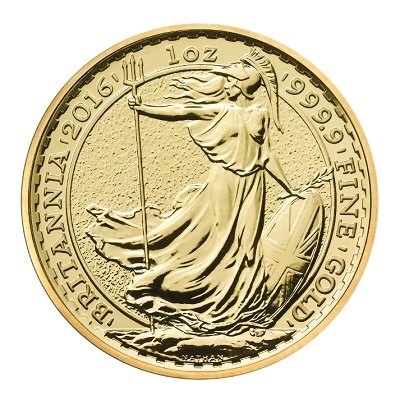 Add the beautiful 1 oz Great Britain Britannia gold coin to your portfolio today. 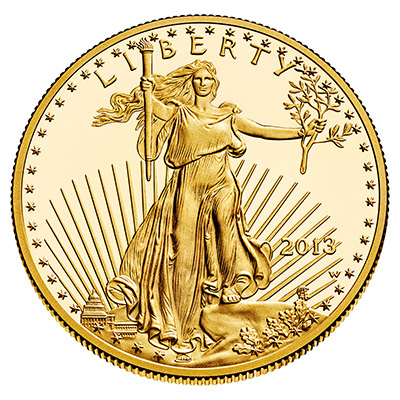 The Gold American Eagle is one of the top-selling gold coins in the world. American Eagle gold coins come in four different sizes, with the 0.10 oz coin being the smallest version of the coin. Made from 91.7% pure, 22-karat gold, the 1/10 oz American Eagle contains 0.1 troy ounces of fine gold bullion. A beautiful coin, the front features Lady Liberty while the back displays an eagle. The Gold American Eagle has the backing of the United States government. The 1/10 oz coin has a face value of $5 US and is considered legal tender within the US. It is eligible for precious metals IRAs. Fractional gold coins such as the 1/10 oz American Eagle gold coin carry higher premiums than larger coins, but they are a good choice for smaller investors and those that want to own lower value gold coins. Due to its worldwide popularity and liquidity, the American Eagle is an excellent choice from an investment point of view. Add a 1/10 oz American Eagle gold coin to your investment portfolio today. The Gold American Eagle is a highly sought after gold coin and one of the most popular gold coins in the world. If you are looking to buy gold coins for your investment portfolio, American Eagle gold coins are an excellent choice. The Eagle is a 22-karat gold coin, meaning that it is 91.7% pure gold. 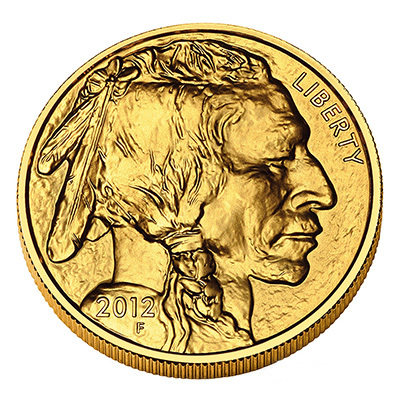 The 1/4 oz Eagle contains 0.25 troy ounces of gold. An attractive coin, Lady Liberty is featured on its front while an in-flight bald eagle is displayed on the back. The American Eagle is backed by the United States government. It is considered legal tender within the US, with a face value of $10 US. It can be added to a precious metals IRA. Fractional gold coins are an excellent choice for smaller investors. They are also well suited to those who prefer to own lower value gold coins. Buy a 1/4 oz American Eagle gold coin for your collection today. The Gold American Eagle is a stunning gold coin that is well recognized and in demand, all across the world. It is the most popular coin in North America. Made from 91.7%, 22-karat gold, each coin contains 0.50 troy ounces of gold. An elegant coin, the Eagle features Lady Liberty on its front and a bald-eagle on its back. This coin has a face value of $25 US and is backed by the US government. It can be added to an IRA. Due to its worldwide popularity and liquidity, the American Eagle is an excellent choice from an investment point of view. Fractional coins carry higher premiums than larger coins, yet they are a fantastic option for smaller bullion investors. Buy a beautiful 1/2 oz American Eagle gold coin for your collection today. The Gold American Eagle is the most popular gold coin in North America and one of the most popular gold coins in the world. 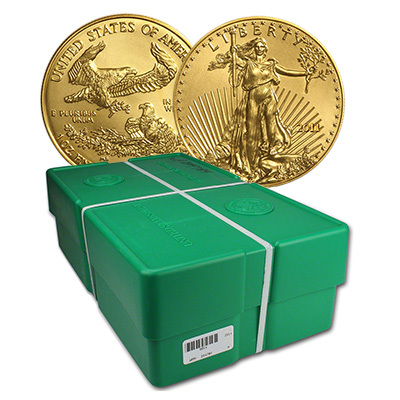 American Eagle gold coins are a fantastic choice for any investor interested in buying gold. Each American Eagle 1 oz gold coin contains 1 troy ounce of 91.7% pure, 22-karat gold bullion. The Eagle is available in several different sizes, however, the 1 oz coin is the preferred size among gold investors as it is very liquid. A stunning coin, the front features Lady Liberty in front of the Capitol building. The back of the coin displays an in-flight bald eagle, carrying an olive branch to its nest. The 1 oz Eagle coin has a face value of $50 US. It is back by the US government and is considered legal tender in the US. It is eligible for precious metals IRAs. If you are looking to buy gold online, the American Eagle is an excellent choice due to its worldwide popularity and liquidity. It is one of the best 1 oz gold coins for sale. Add a stunning 1 oz American Eagle gold coin to your investment portfolio today. The Gold American Eagle is the most popular gold coin in North America and a coin that is highly sought after all across the world. The American Eagle is a 91.7% pure, 22-karat gold coin, with each 1 oz coin containing 1 troy ounce of fine gold bullion. The American Eagle Monster Box contains 25 sealed tubes each containing 20 American Eagle 1 oz gold coins. The box contains a total of 500 troy ounces of gold. The American Eagle gold coin has the backing of the United States government. Coins are considered legal tender in the US, with each 1 oz coin having a face value of $50 US dollars. Each Monster Box comes sealed from the US Mint. Due to its worldwide popularity and liquidity, the American Eagle gold coin is an excellent choice from an investment point of view. The monster box represents an effective way to acquire large amounts of gold bullion with just one purchase. Invest in the Gold American Eagle Monster Box today. 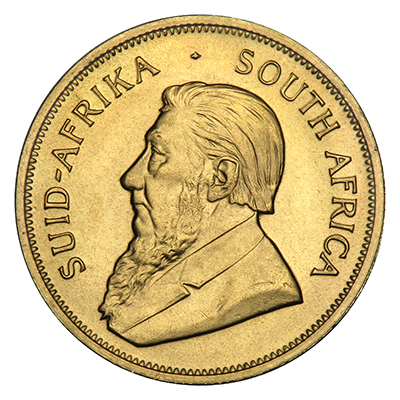 The South African Krugerrand gold coin is one of the most widely owned gold coins in the world today. Produced since 1967, the Krugerrand was the first gold coin introduced in the modern era specifically for use as an investment tool. The Krugerrand is a 22-karat gold coin, with a purity of 91.7%. It comes in several different sizes, with the 1 oz version of the coin containing one troy ounce of gold. A beautiful coin, the front features a profile of Paul Kruger, South Africa’s first and only president. The back displays a springbok antelope, the national animal of South Africa. Minted by the South African Mint, this coin is well recognized and highly liquid around the world today. The Krugerrand is an excellent choice from an investment perspective. Add a stunning 1 oz South African Krugerrand gold coin to your portfolio today. The Gold Canadian Maple Leaf is one of the most sought after gold coins in the entire world. 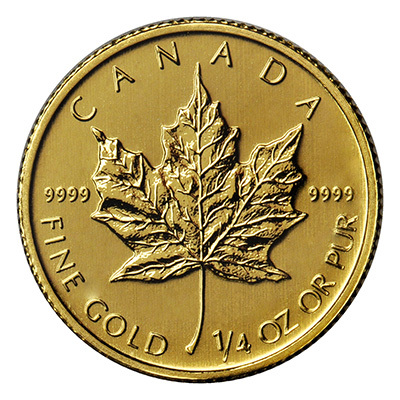 The Maple Leaf is a 24-karat gold coin, containing 99.99% pure gold. Each 1/10 oz coin contains 0.1 troy ounces of fine gold bullion. A beautiful coin, Queen Elizabeth II is featured on its front. The iconic maple leaf is displayed on the back. Backed by the Canadian government, the 0.10 oz Maple Leaf has a face value of $5 Canadian. It is considered legal tender within Canada and can be held within a precious metals IRA. Fractional gold coins such as the 1/10 oz Canadian Maple Leaf are an excellent choice for smaller investors. However, investors should be aware that they can carry higher premiums than larger coins. Given its worldwide popularity and liquidity, the Canadian Maple Leaf is an excellent choice from an investment point of view. 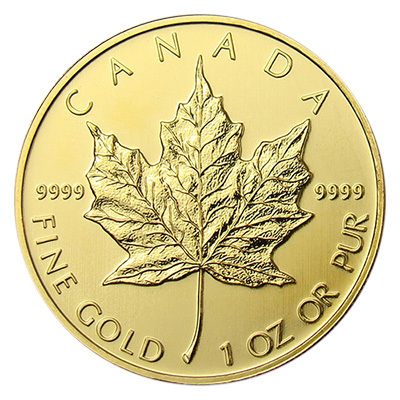 Add a 1/10 oz Canadian Maple Leaf gold coin to your portfolio today. The Canadian Maple Leaf is a top-selling gold coin that is well recognized and highly sought after all across the world. A stunning 24-karat gold coin, each Canadian Maple Leaf contains 0.25 troy ounces of 99.99% pure gold. The maple leaf is displayed on the back of the coin, while on the front, there is a profile of Queen Elizabeth II. These Canadian gold coins are backed by the Canadian government, with a face value of $10 Canadian. It is considered legal tender within Canada. This coin can be included in a precious metals IRA. Fractional gold coins are a brilliant choice for smaller investors, despite carrying higher premiums than larger coins. The Canadian Maple Leaf is an excellent choice for gold investors. 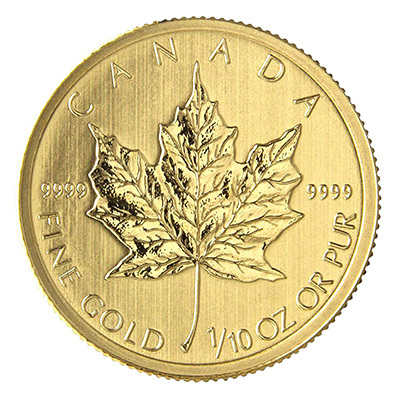 Add a 1/4 oz Canadian Maple Leaf gold coin to your collection now. The Gold Canadian Maple Leaf is a top-selling gold coin that is an excellent choice from an investment perspective. First issued in 1979, the Canadian Gold Maple Leaf is well recognized and in demand all over the world. A 24-karat gold coin, this coin contains 0.50 troy announces of 99.99% pure gold bullion. A beautiful coin, the front of the Maple Leaf features Queen Elizabeth II. The iconic maple leaf is proudly displayed on the back. This coin is backed by the Canadian government, and considered legal tender in Canada. It has a face value of $25 Canadian dollars. It is IRA eligible. smaller investors, despite carrying higher premiums. With worldwide popularity and liquidity, the Canadian Maple Leaf is an excellent choice for investors. 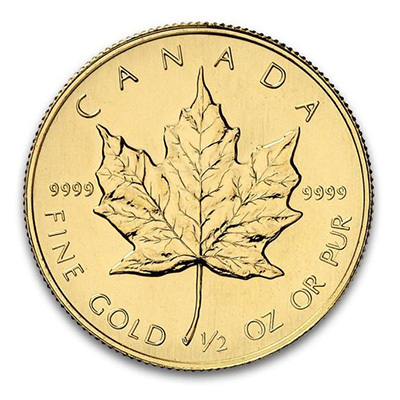 Add a stunning 1/2 oz Canadian Maple Leaf gold coin to your collection today. 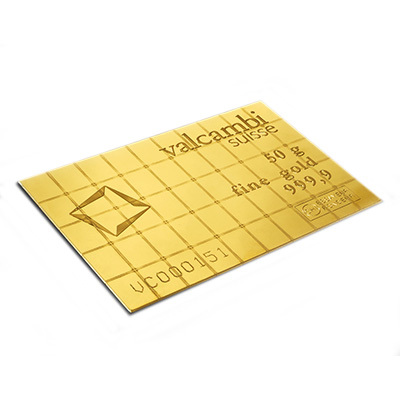 The Valcambi CombiBar is an attractive gold bar that can be separated into 50 smaller bars. The 50 gram CombiBar can be divided into 50 one gram bars of pure 0.9999 Swiss gold. The CombiBar is presented as a single unit in a sealed protective assay package. The attraction of this gold investment is its flexibility, as it allows for easy division should you ever wish to subdivide your gold bullion. The CombiBar is a cost-effective way to buy gold bullion. Add the 50g Valcambi Gold CombiBar to your bullion collection today.